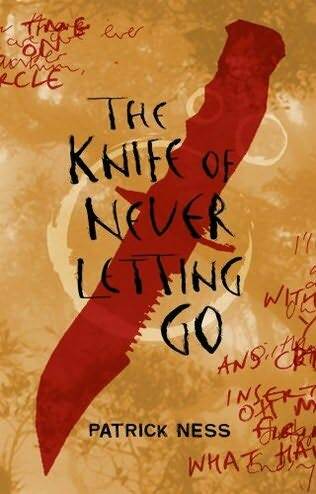 When I decided to read The Knife of Never Letting Go, by Patrick Ness, I wasn’t sure what to expect. The little that I knew about the book made it sound like an interesting book so I decided to read it and see what I thought. The Knife of Never Letting Go is a really difficult book to review because it hard to explain the premise of the novel without giving too much away about the novel. The main character of the novel is Todd Hewitt, the youngest male in a rather unique community. Todd can hear the thoughts of his dog, as well as the thoughts of everyone else in the town. Todd isn’t alone in his ability to hear others – because of a virus that struck, all the members of the community can hear one another. If that doesn’t make this place interesting enough, due to events that have transpired there are no women in the town. Among all these thoughts (known as “The Noise”), Todd finds an unexpected pocket of silence and, in searching out the source, also finds a girl. Todd and Viola (the girl Todd has encountered) and Todd’s dog then run away. The remainder of the novel is spent on the chase – can Todd and Viola outrun men who can hear what they are thinking? I thought this novel was interesting. At times I found it long-winded, but the premise was intriguing and unique. I liked Todd’s character and the relationship that develops between Todd and Viola. One aspect I didn’t enjoy, however, was the ending. I found it abrupt and an ploy to encourage the reader to read the obvious sequel. For fans of science fiction and young adult literature, I think The Knife of Never Letting Go would be of interest. Just be prepared for the fact that you will be left hanging at the end of this novel.